Nikon D750 remote release cable MC-DC2 allows you to take pictures from a distance. The button duplicates the shutter release and can be half-pressed to focus. There is a sliding lock on the button to lock it for extended exposures. The remote is required for exposures longer than 30 seconds. The remote includes a 3-foot cord (1 meter length). The remote operates without a battery and does not need infrared signal so you can activate it from behind, beside or in front of the D750. When I click on the Nikon D750 Remote bullet above it opens the next page indicating only suitable for D90 and D5000 – this is very confusing and misleading. I’m looking for a D750 remote cable release but find none under your item? 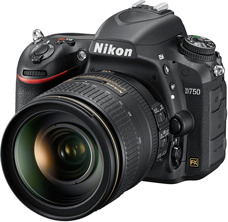 The MC-DC2 fits a variety of Nikon cameras including the Df, D600, D610, D750, D90, D7000, D7100, D7200, D5000, D5100, D5200, D5300, D5500, D3100, D3200, D3300, Nikon A and Coolpix 7800. Your camera’s manual will tell you what is compatible. My D750 manual lists the MC-DC2 as the appropriate remote cord on page 443.